As I type this I'm sitting in a car leeching UCSD campus wifi on a break from cleaning my apartment. Why? Because all my stuff is in Oceanside!! Move completed!!!! More on that soon, I promise. In the meantime... just one more post with pics taken in good ole La Jolla. 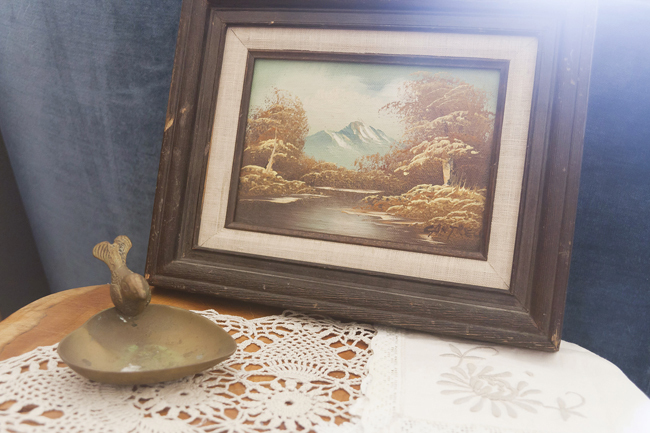 When I saw this little landscape painting for $4.20 I was pretty stoked. Most of the paintings I've seen around lately have been $20 or more - no thanks! This one is small and has some damage on the frame, but will totally work for my purposes. I've been trying to find a painting like this one to DIY for months. I really can't wait to show you what I've had in mind. 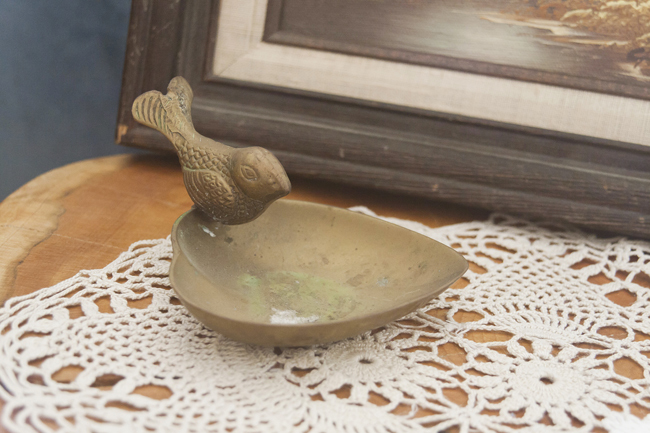 Also in the grab bag was this little brass bird dish. Ever since Tim and I got engaged I've been looking for a ring dish to keep my engagement ring safe and sound while I do the dishes. I saw this little lady a few weeks ago for $12 and just didn't want to splurge. It seems like she waited for me! When I saw her for $6 this weekend I snatched her right up. I need to seriously clean the brass, but that's an easy fix. 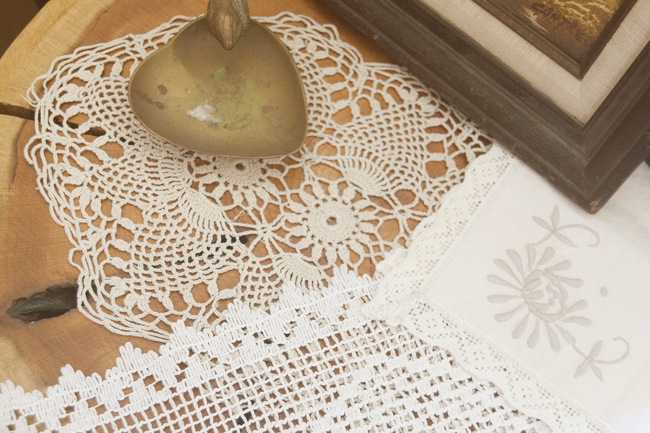 Maybe the most exciting find (actually, no - I was super excited about all of these come to think of it...) was a mother-load of vintage handkerchief, doilies, and table runners. Using self restraint, I left with just a few of the little beauties for a total of $9. They'll be sure to find their way into my wedding and any number of other DIY projects! 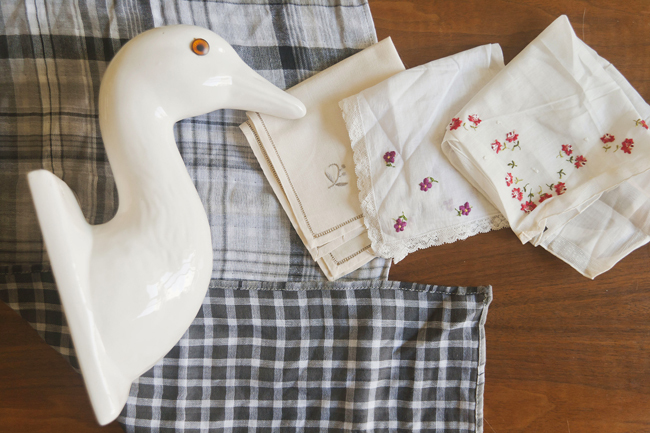 So help a lady out - project ideas for my handkerchief bounty?